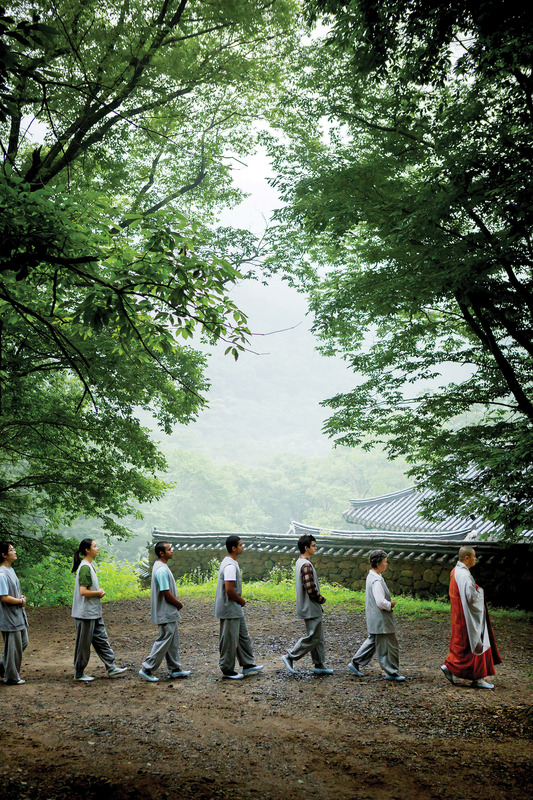 SEOUL, KOREA The Cultural Corps of Korean Buddhism has successfully completed its Templestay and Temple food exhibition, experience and lecture on the theme of 'Pyeongchang Winter Olympics with Templestay' in New York, the city of global culture, from September 24 through 30, 2017. 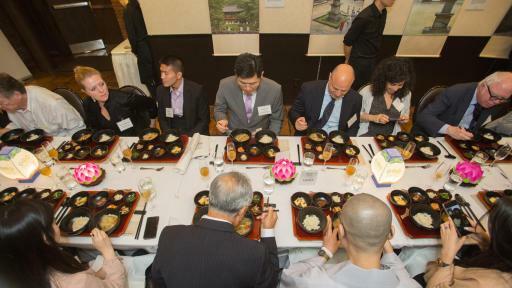 In addition to the New York citizens, this event introduces Templestay and temple food to the Consulate General of the Republic of Korea in New York, Korean Cultural Center New York, Korea Tourism Organization New York Office and related officials in Korea, cultural arts associations, local media in New York. 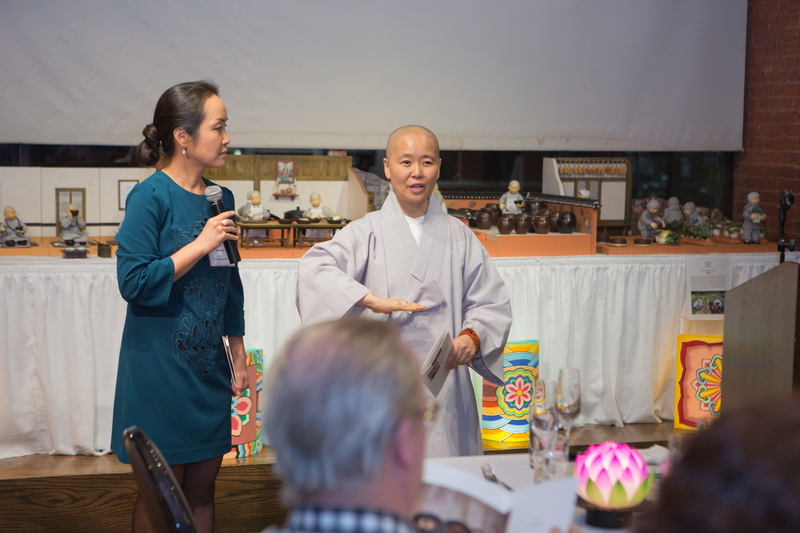 Over 100 participants experienced various Templestay activities and temple food tasting at the Astor Center, New York. 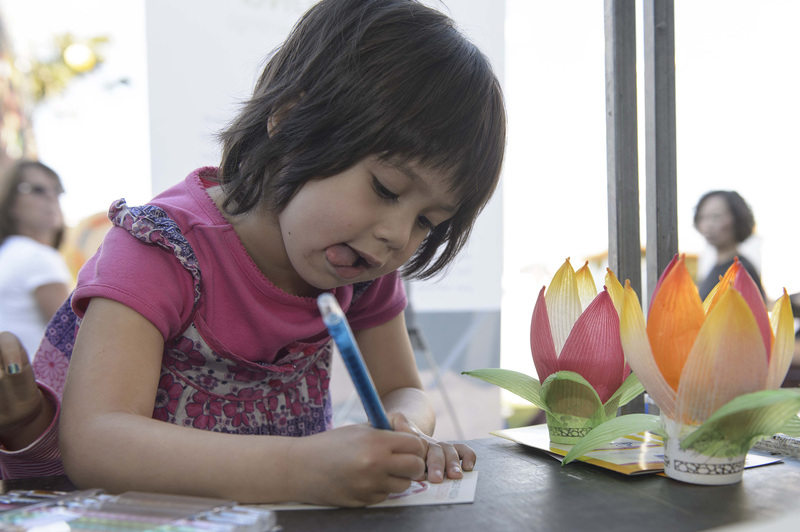 Among them, the lotus flower lantern making was the most popular activity, and Ssambap and natural potato chips were particularly among the food favorites. 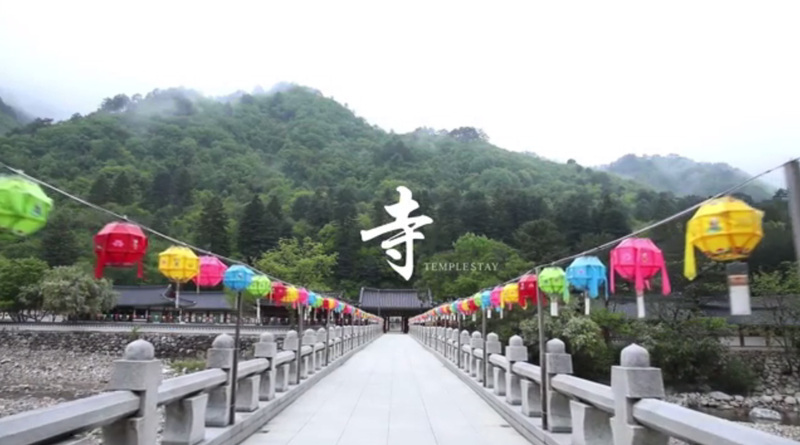 Participants who have experienced the Templestay exhibition have requested a recommendation of the temple to experience Templestay with Pyeongchang Winter Olympic Games next year. In addition, the mascots of Pyeongchang Winter Olympic Games, Soohorang and Bandabi, gave local New Yorkers opportunities to promote 2018 Pyeongchang Winter Olympic Games and to take photographs at the same time. 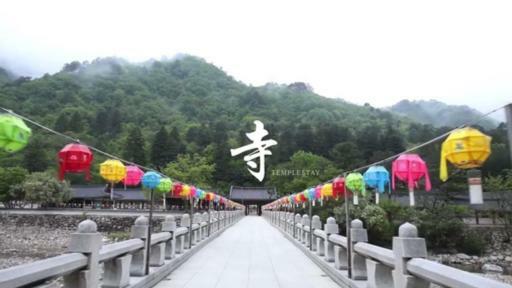 On the other side of the event, people from government, business, arts and culture, media and prominent chefs attended the temple food banquet. A variety of temple foods such as porridge with potato matzo balls, buckwheat crepes, seasoned were airlifted from Gangwon-do Province. On 29th of September (local time), Ven. Beopsong’s special lecture about temple food was held at a famous American cooking school CIA(Culinary Institute of America). About 100 professors and students of CIA attended the lecture with huge interest and enthusiasm for the temple food. There were lots of thoughtful questions about traditional recipe for temple food and the characteristics of temples from students. 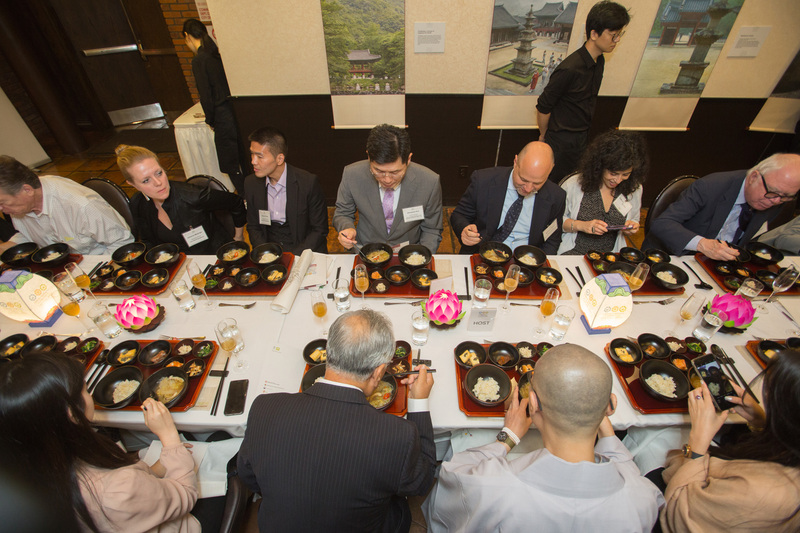 In addition, Michael Pardus, a CIA professor of Asian food, thanked Ven. 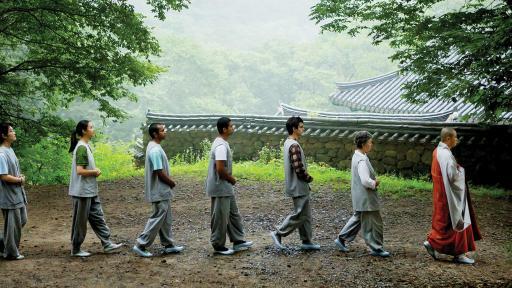 Beopsong and the staff of Cultural Corps of Korean Buddhism serving kimchi noodle soup, soy sauce and local special fruits. 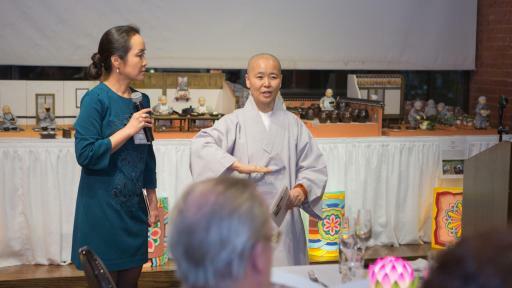 The Cultural Corps of Korean Buddhism has been hosting a biannual temple food promotional event in New York since 2010. This year's event was particularly designed to emphasize awareness of the Pyeongchang Winter Olympics 2018.